Islam: A Totalitarian Philosophy or One Teaching at a Time? George Washington was the first President of the United States (1789–1797) and now Barack Hussein Obama (born August 4, 1961) is the 44th and current President of the United States. In other words we have had peaceful transfer of power 43 times in the last 225 years. Despite continued racism in many aspects of American life, the society has peacefully transferred power to even a black President, who is considered by many a republican voters to be a Muslim. This speaks of supremacy of Law and a nation, which broadly speaking, submits to those laws, at least in the sphere of governance. The same cannot be said about the Muslim societies, any where, any time in history over the last 1400 years. The Ottoman Sultans used to kill their sons or brothers because they saw a threat to their kingdom. The largest killing took place on the succession of Mehmed III when 19 of his brothers were killed and buried with their father to prevent attempts upon his throne. His grandfather Sultan Selim II died when Mehmed was 8 and Mehmed’s father, Murad III, became Sultan in 1574. Mehmed thus became Crown Prince till his father’s death in 1595. When Mehmed III (May 26, 1566 – December 21/22, 1603) ascended to throne he was 28 years old. Some of the killed brothers were merely 10 years old. He remains notorious even in Ottoman history for having nineteen of his brothers and half-brothers executed to secure power. They were all strangled by his deaf-mutes. The first four caliphs in the Islamic history, after the death of the Holy Prophet Muhammad, may peace be on him, are called by the title “the Righteous Caliphs,” because of their upright character and general popularity. After them dynasty rule was established among the Muslims. These four initial rulers ruled for a period of thirty years and three out of the four were murdered. The Muslims have, generally speaking, never known peaceful transfer of power in any part of the world for the last 1400 years except at times, within a dynasty rule, when power is peacefully transferred from the father to the son. For example, we have seen many examples of that in the royal family of Saudi Arabia, from King Saud to King Salman now, in the last eight decades. With a few exceptions, peaceful transfer of power is generally unknown in the Muslim countries or societies. The Muslims have also tried different constitutions in different countries, but, unlike the USA constitution they do not seem to stick. Constitutions in the Muslim countries are sabotaged, sometimes due to external intervention and sometimes due to internal combustion, as the Muslim masses have never developed respect for any constitution, nothing seems to ever rise above their misplaced zeal for the religion of Islam. Zulfikar Ali Bhutto (5 January 1928 – 4 April 1979) was the ninth Prime Minister of Pakistan (1973–77) and its fourth President (1971–73). Revered as Quaid-i-Awam (Urdu:قا ئد عوام; lit. People’s Leader), he founded the Pakistan People’s Party (PPP) and served as its chairman. Bhutto’s reign saw parliament unanimously approve a new constitution in 1973. Nevertheless, General Muhammad Zia-ul-Haq, who also gave us the blasphemy laws of Pakistan, was able to over throw Bhutto in 1977. Zia deposed him and declared martial law over the country in 1977 and suspended the constitution, within four years of its making. Bhutto was controversially tried and executed by the Supreme Court less than two years later, for authorising the murder of a political opponent. General Zia-ul-Haq was able to use Islam as a tool and as a totalitarian political philosophy. In fact, he had a national referendum asking people if they like Islam or not? A yes answer in the referendum was implied to be a green signal for life time rule by him, under one or the other title. The referendum was held on 19 December 1984 with the option being to elect or reject the General as the future President, the wording of the referendum making a vote against Zia appear to be a vote against Islam. According to official figures 95% of votes were cast in favour of Zia, however only 10% of the electorate participated in the referendum. Nevertheless, it became a license for every thing that Zia had done and will do in future. When he came to power he promised a fair election within 90 days, but, by exploiting the Islamic sentiment of the masses, he was able to rule for a total of 11 years until his death in a plane crash, on August 17, 1988. Shortly after a smooth takeoff, the control tower lost contact with the aircraft. Witnesses who saw the plane in the air afterward claim it was flying erratically, then nosedived and exploded on impact. In addition to Zia, 31 others died in the plane crash, including Chairman Joint Chiefs of Staff Committee General Akhtar Abdur Rahman, close associate of Zia, Brigadier Siddique Salik, the American Ambassador to Pakistan Arnold Lewis Raphel and General Herbert M. Wassom, the head of the U.S. Military aid mission to Pakistan. Ghulam Ishaq Khan, the Senate Chairman announced Zia’s death on radio and TV. Conditions surrounding his death have given rise to many conspiracy theories. There is speculation that the United States, India, the Soviet Union (in retaliation for Pakistani support of the mujahideen in Afghanistan) or an alliance of them and internal groups within Zia’s military were behind the incident. A board of inquiry was set up to investigate the crash. It concluded ‘the most probable cause of the crash was a criminal act of sabotage perpetrated in the aircraft’. It also suggested that poisonous gases were released which incapacitated the passengers and crew, which would explain why no Mayday signal was given. Just like Zia could justify his 11 year rule with a totalitarian interpretation of Islam, the royal family of Saudi Arabia has found in their Salafism or Wahhabism, a totalitarian political philosophy, to rule the country for the last eight decades, since the founding of the modern kingdom of Saudi Arabia, in 1932. Zia-ul-Haq remembered these verses only when he decided to hang Bhutto and declare that no one is above the law, but conveniently forgot these when he over threw him and ruled the country against the agreed upon constitution by force of Martial Law for eleven long years. The Saudi royal family also does not tell us how would they harmonize at least 70 verses in the Quran about justice with their dictatorial and monarchical rule in the country, in an age of enlightenment, human rights and democracy? One would think that these verses will inspire the Muslims to be honest and just and to commit to law and order and agreed upon constitutions. But, the history does not bear it out. 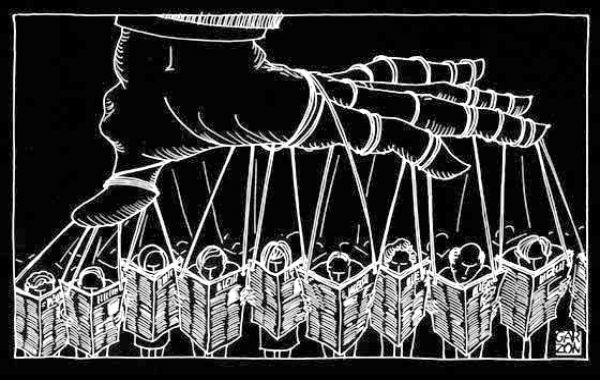 The masses understand the Quran only the way it is interpreted to them by their religious and political leaders. Zia-ul-Haq did not remember any of these verses, when he on several occasions violated his promise for a speedy and fair election. But, which ever teaching he could exploit to maintain his Martial Law and totalitarian control over the psyche of unsuspecting Pakistanis, he never forgot. He gave us the blasphemy laws in Pakistan, which have created hundreds if not thousands of both Muslim and non-Muslim victims and destroyed the peace, order and rationality of a whole nation. The most notable of the victims of these laws was Salman Taseer. On 15 May 2008, Taseer was designated for the office of Governor of Punjab by the PPP-led coalition government. 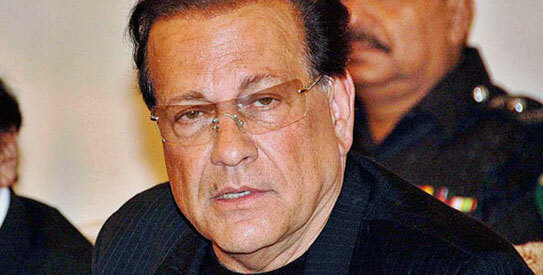 The next day, hundreds of people turned up for governor Salman Taseer’s funeral in Lahore in spite of denunciation by some clerics and religious scholars from mourning Taseer. Prime Minister Yousuf Raza Gilani and many supporters of the ruling PPP were seen attending the funeral prayer. The funeral prayers were finally led by Allama Afzal Chisti of the Ulema wing of the PPP after the chief cleric of the Badshahi Mosque, who had initially agreed to offer prayers, backed off at the last moment, saying he was going out of town. Taseer was buried at a military cantonment in Lahore. 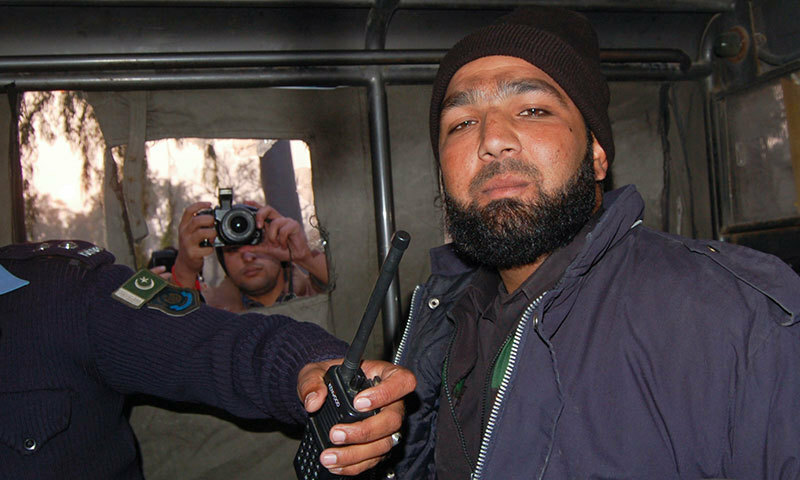 The assassin Malik Mumtaz Hussain Qadri was part of the security detail provided to Taseer by the Elite Police. After the shooting, Qadri threw his weapon down and put his hands up when one of his colleagues aimed at him. He reportedly pleaded to be arrested. Qadri reportedly said he killed Taseer due to the latter’s vocal opposition to the blasphemy law in Pakistan. Taseer was against the blasphemy law and termed it a black law. Notably, Taseer made headlines when he favoured the Christian Pakistani woman, Asia Bibi, who had been sentenced to death for blasphemy. It was suspected that this was the main reason for his assassination. According to a report in Dawn, the assailant was associated with Dawat-e-Islami, a religious organisation associated with the Barelvi movement. After the murder, more than five-hundred clerics of the movement voiced support for the crime and urged a general boycott of Taseer’s funeral. Supporters of Mumtaz Qadri blocked police attempting to bring him to the Anti-Terrorism Court in Rawalpindi, and some supporters showered him with rose petals. On 1 October 2011, Qadri was sentenced to death by a Pakistani Anti Terrorist court at Islamabad for murdering Taseer. The judge who convicted Qadri was forced to flee the country after death threats. A higher Pakistani court upheld the death sentence today for the killer of the governor of Pakistan’s largest province after he had called for reform of a law against blasphemy, media said. The ruling was a surprise to many who had expected the killer’s sentence might be reduced amid growing threats to lawyers and judges hearing blasphemy-related cases. The totalitarian philosophy of Zia-ul-Haq has forever divided Pakistani society into two camps, those who cherish human life and human rights and the right wing zealots, who hold nothing sacred in pursuit of their totalitarian philosphy, their fool’s dream of Sharia Law, which they have not even fully enunciated. 9. Prohibition of self-mortification in Islam, which is still practiced by some parts of the Catholic Church. A book by a Catholic writer told us in 2010 that the late Pope John Paul II flagellated himself regularly to emulate Christ’s suffering. We need to study these one at a time and implement them in our lives, rather than amalgamating these with other Islamic teachings into a totalitarian system to be exploited by dictators, the right wing political parties or royal families, seeking political advantage. No one can deny or easily argue against the beauty of these individual teachings, but, when we let people weave Islam into a totalitarian system for politics, for power play within the Muslim communities or against others, hell breaks lose and terrorism is not the only evil manifestation of that. When, instead of seeing Islam, as one teaching at a time, we change it into a totalitarian political philosophy, we end up with menaces like, fundamentalism, extremism, terrorism and dictatorship. We end up with political parties, which are constantly trying to take the Muslim societies centuries back in the name of “Sharia Law.” We end up with a myopia, where by the Muslims want to ignore all the scientific developments in medicine in favor of herbal medicine and other forms of quackery. We end up with shortsightedness that leads to ignoring all the developments in the West in the sphere of political and judicial systems. All this in the name of Islam! The Muslim societies end up in pointless theological debates in favor or against Sharia Law, which as a package even does not exist, unless we were to find a book that describes the sum total of laws in the medieval Muslim societies. Any one who stands for “Sharia Law,” as a package deal in fact stands for disorder and anarchy. If Muslims love Islam as a whole or any part of it, they have to talk about one teaching and one law at a time, how it would be of utilitarian value or for human flourishing, rather than packaging every thing under the label of Sharia Law, which only destroys the common decency, as it has in Pakistan in the last five decades and created a schizophrenic nation, which cannot understand its laws or its constitution. Where a large part of the populace sympathizes with the murderer of one of the Governors of one of the four provinces. As good Muslims, what we have to hold foremost in our minds is that if we agree on a constitution, it becomes our solemn promise to the whole nation and Allah wants us to uphold our promises, to live and die by them and not be deceived by every self-indulging and power-hungry politician or religious scholar, who comes along the way. In Saudi Arabia, perhaps, ‘ISLAMIC RIGHTS SYSTEM HONOURS ALL HUMAN BEINGS”. But the Holy Bible is prohibited as is the existence of churches and the wearing of the crucifix. In Mecca, there are separate roads for muhammadans and non-muhammadans, quite reminiscent of the pact of Umar. The Ahmaddis are not allowed to perform the pilgrimage. How do all these and more amount to honouring all human beings? I post again. If the Islamic rights system honours all human beings, why do the Saudis forbid the Bible, Churches and crucifix in the kingdom? Why do they, in a move reminiscent of the pact of Umar, have separate roads in Mecca for muhammadans and non-muhammadans? Why do they not allow the Ahmadis to perform the pilgrimage? You really do not believe the statement because believing it will make you a hypocrite. When you delete or fail to post my comments which contradict your position.